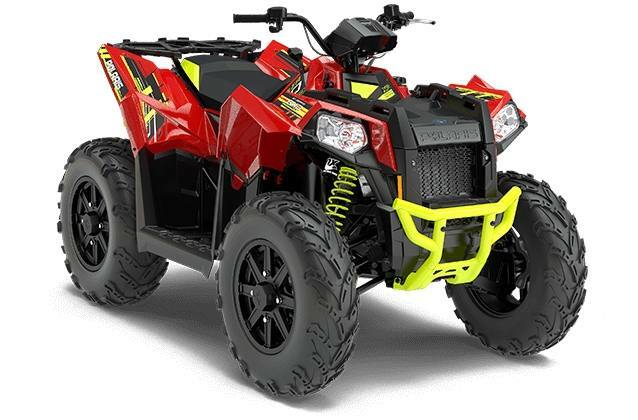 The Scrambler® XP 1000 is the world's most powerful racing ATV. Delivering a whopping 90 HP to go with race-proven sport performance features like Fox Podium X Shocks, sport-tuned rolled independent rear suspension, and stainless steel exhaust, you'll leave other riders in the dust whether you're dominating the trails or speeding through the desert. 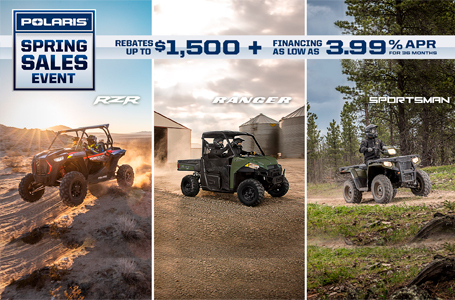 The world's most powerful racing ATV delivers unmatched performance to rip through the trails or dominate the desert floor. 90 HP ProStar® 1000 twin EFI engine with a single overhead cam. High-performance close-ratio All-Wheel Drive to give you the traction you need, when you need it. Dual-balanced shafts for a clean fuel burn and smooth power delivery. Sport-tuned high-mount stainless steel exhaust. With legendary Sportsman suspension and handling, you'll be prepared to navigate the tightest corners and biggest obstacles with full comfort and control. Legendary Rolled Independent Rear Suspension (IRS) with 10.25" of wheel travel to keep you planted on all four tires. Fox Podium X Shocks with 24 position front and rear compression adjustment to dial in your ride. Best-in-class 11.5" of obstacle-dominating ground clearance. The smoothest, most responsive variable-assist Electronic Power Steering (EPS) on the market. The Scrambler XP 1000 was designed and tested with all-day off-road comfort in mind. 33% wider floorboards and narrow vehicle width at the knees and ankles. Front and rear racks with 75 lbs. capacity to bring your gear for a full day of riding. Sculpted sport seat to reduce leg fatigue and increase rider comfort. The Scrambler XP 1000 is durable, reliable, and built to last. This is proven by Team UXC Racing's success, including numerous GNCC podium appearances and finishing the Baja 1000. NEW! Our half shaft drive axles have been redesigned to increase strength and durability over the toughest terrain.